Television for Women brings together emerging and established scholars to reconsider the question of ‘television for women’. In the context of the 2000s, when the potential meanings of both terms have expanded and changed so significantly, in what ways might the concept of programming, addressed explicitly to a group identified by gender still matter? The essays in this collection take the existing scholarship in this field in significant new directions. They expand its reach in terms of territory (looking beyond, for example, the paradigmatic Anglo-American axis) and also historical span. Additionally, whilst the influential methodological formation of production, text and audience is still visible here, the new research in Television for Women frequently reconfigures that relationship. The topics included here are far-reaching; from television as material culture at the British exhibition in the first half of the twentieth century, women’s roles in television production past and present, to popular 1960s television such as The Liver Birds and, in the twenty-first century, highly successful programmes including Orange is the New Black, Call the Midwife, One Born Every Minute and Wanted Down Under. 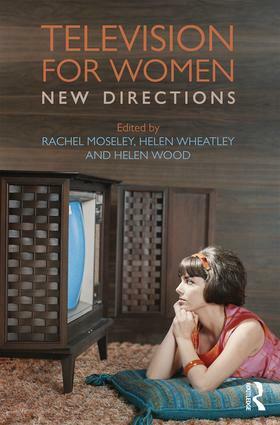 This book presents ground-breaking research on historical and contemporary relationships between women and television around the world and is an ideal resource for students of television, media and gender studies. Introduction: Television for Women - what new directions? Rachel Moseley is Director of the Centre for Television History, Heritage and Memory Research in the Department of Film and Television Studies at the University of Warwick. She has published widely on popular television and film, with a particular interest in questions of history, address and representation. She is the author of Hand-Made Television: Stop-Frame Animation for Children in Britain, 1961-1974 (2016). Helen Wheatley is Associate Professor (Reader) in Film and Television at the University of Warwick, UK, and co-founder of the Centre for Television History, Heritage and Memory Research. She has published widely on television history and aesthetics and is the author of Gothic Television (2006) and Spectacular Television: Exploring Televisual Pleasure (2016). She is also editor of Re-viewing Television History: Critical Issues in Television Historiography (2007). Helen Wood is Professor of Media and Communication at the University of Leicester and has published widely on television, audiences, class, and gender. She is author of Talking with Television (2009) and with Beverley Skeggs, Reacting to Reality Television (2012); she has also edited Reality Television and Class with Beverley Skeggs (2011) and is editor of the European Journal of Cultural Studies.